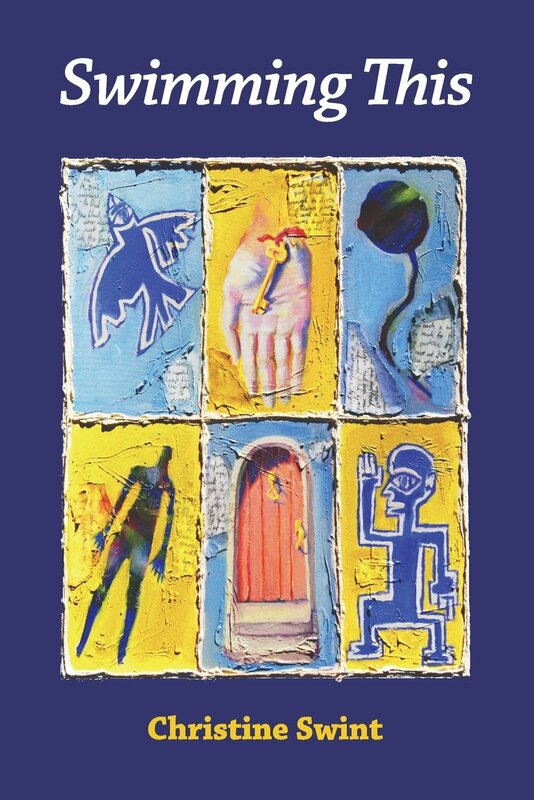 I am pleased to announce the publication of my first collection of poetry with FutureCycle Press. Many thanks to my editor and publisher, Diane Kistner, for her attention to detail, her sense of design, and her knowledge of the publishing industry. Swimming This can be purchased online by going to the FutureCycle catalogue. It’s available as a softbound book or as an e-book. The book version is especially beautiful because of the gorgeous cover painting by my son, Dylan Swint. Diane Kistner designed the cover, and Colin Potts took the author photo. 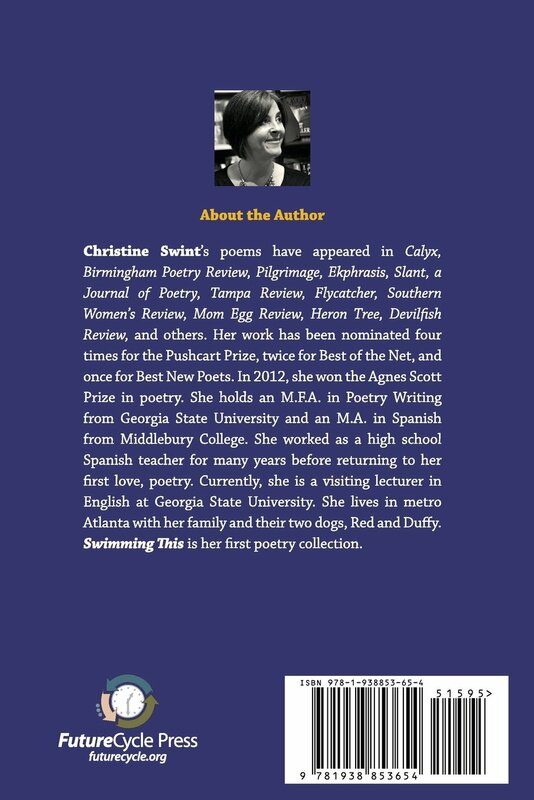 Christine Swint on Amazon’s Author Central page. Did Dylan put these six together or were they painted all together as on the cover? Hey, friend-he is a wonderful painter, but now he’s focused on music. He painted the images all on one canvas, and used some sort of gesso material to build the dividers.